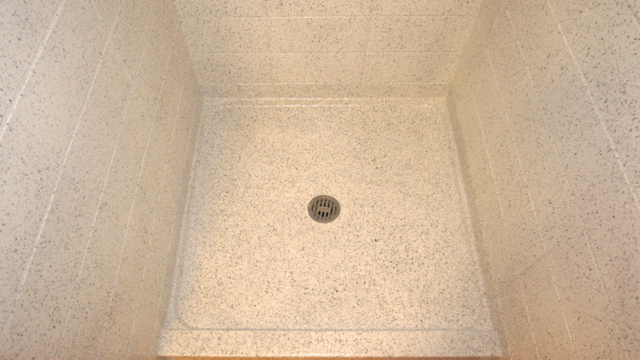 Residents of White Hall on the University of Wyoming campus found beautifully refinished tile showers and in-room vanities when they arrived for fall semester. 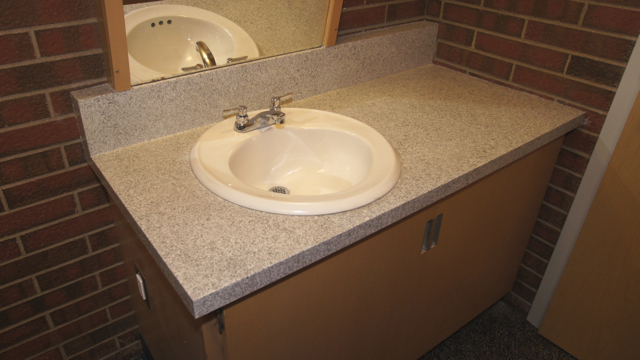 As part of the residence hall’s major renovation, the ugly tile and leaking shower pans were sealed and refinished in a fresh, new color while the laminate vanities were repaired and given a stone-look Natural Accents® finish by Miracle Method. 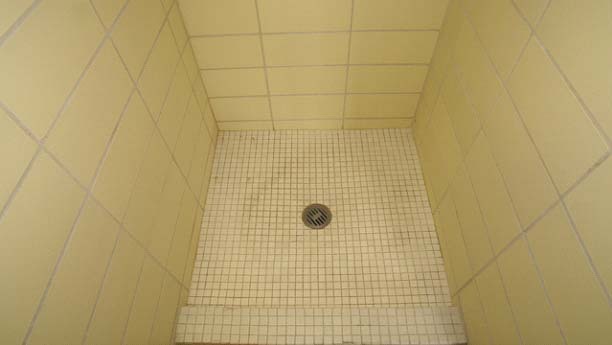 Demolition and replacement of tile in 132 showers and replacement of 297 vanity surfaces would have exceeded the school’s budget and taken longer than the allotted summer break schedule. By using Miracle Method’s eco-friendly refinishing process, the tile and laminate surfaces were saved from the landfill and the project was completed within budget and in time for returning students. Whether it’s a college residence hall, hotel or apartment complex, Miracle Method has a cost saving alternative to messy and expensive demolition and replacement renovation. 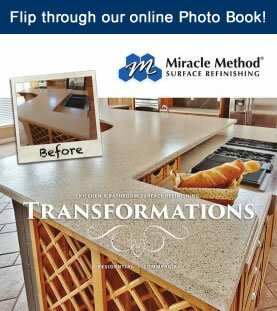 Call 855-212-7337 or visit www.MiracleMethod.com/commercial to learn more about Miracle Method’s commercial services. refinished the surfaces in a Natural Accents stone look finish. 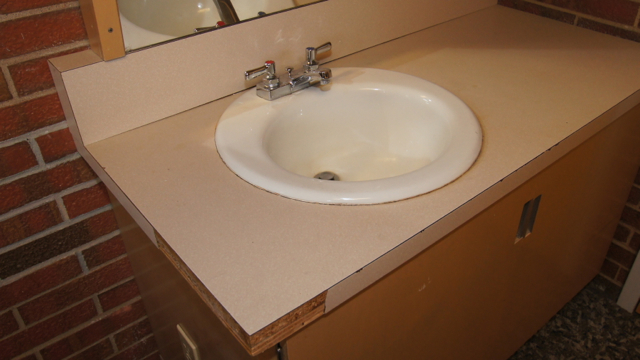 BEFORE: The vanities were dated and many had missing pieces of laminate. AFTER: Miracle Method updated the color and created a durable and attractive new finish.